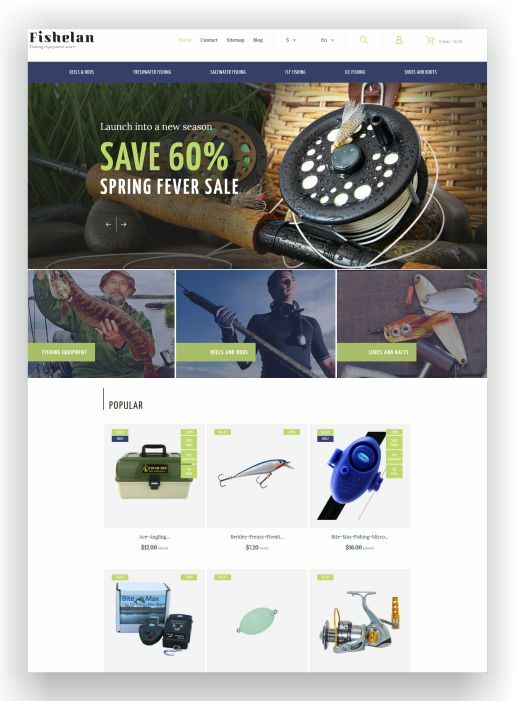 Presta Shop Fishing Store Theme - with free plugins for more than $ 700! 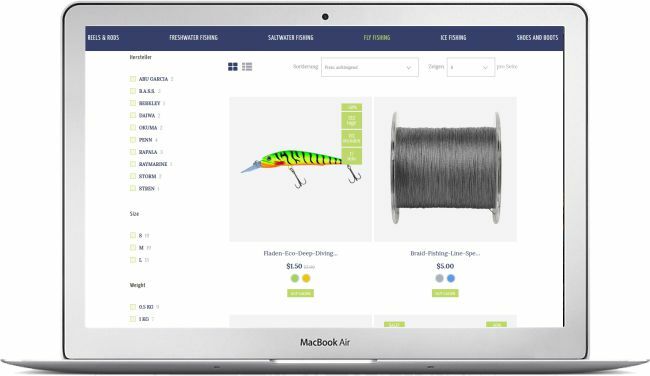 If you are selling fishing equipment and want to present your fishing services in a proper way, then you’re in the right place. 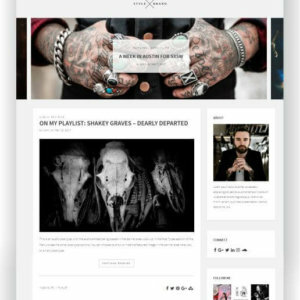 This stunning Presta Shop theme can smoothly adapt to any screen resolution and perform great on any device. Provide an excellent navigation with the help of stick-up menu and back-to-top button. Moreover, TM MegaMenu module which is included in the template allows visitors to access different categories in no time. 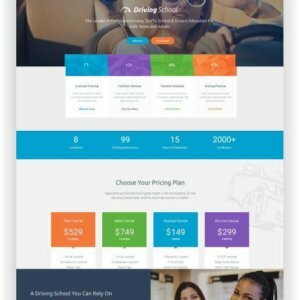 The theme has lots of customization opportunities. 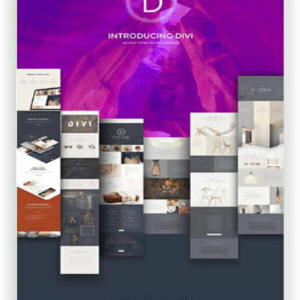 For example, it enables you to easily switch between three pre-made layouts and four different color schemes. 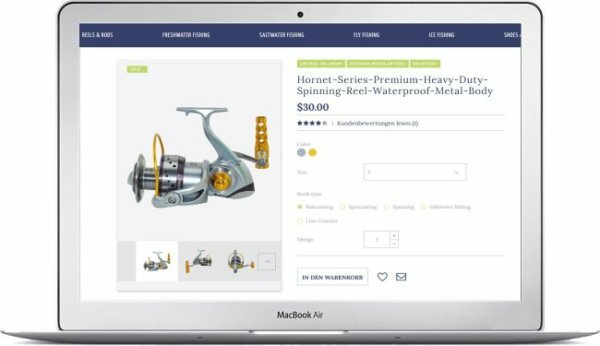 Look no further than this remarkable template for a fishing store and provide a tailored shopping experience for your customers. PrestaShop provides excellent back-end e-shop management with an intuitive, statistics-driven admin panel. 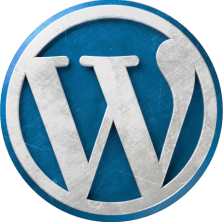 PrestaShop allows you to integrate as many payment gateway options as you need to succeed in online sales. 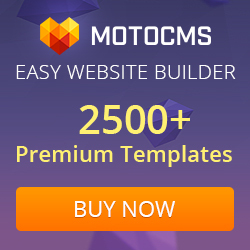 TM Mega Layout Builder – Easily create flexible block layouts and swiftly switch between them using the TM Mega Layout Module. 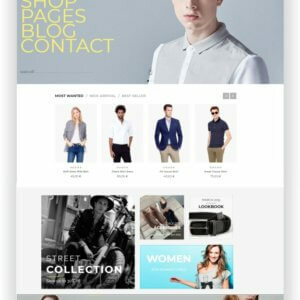 Responsive and Retina Optimized – Your online store will quickly adapt to any device with any screen size. Images and text are also flexible, so they are always displayed correctly. 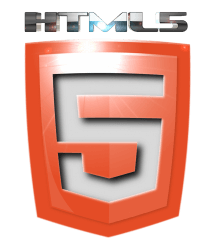 The Retina Optimized templates work perfectly and look great on high pixel density displays. 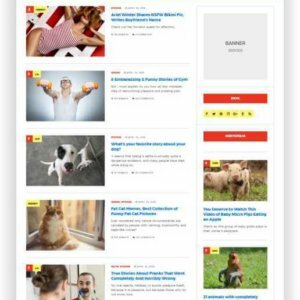 Mega Menu – The Mega Menu is a very powerful tool for creating a good layout and professional navigation of your website. And that without any technical knowledge. TM AJAX Search – With TM AJAX Search you ccan get search results while you type. With each additional input results are limited. However, you always have the option to remove characters and see more results. 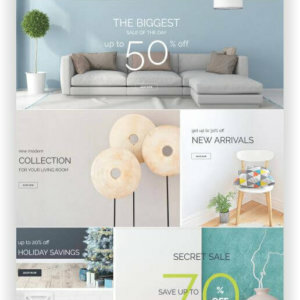 TM Mosaic Products – Add sliders, banners, videos or other layout elements to the homepage of your store effortlessly with the help of TM Mosaic Products module. Multilingual and Multi Currency – Operate your online shop in different languages and currencies. This will help you expand your audience and increase your awareness and revenue. 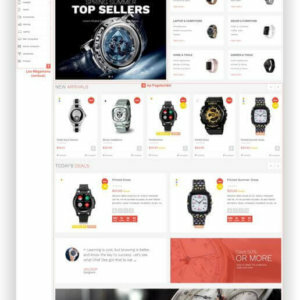 Product Quick View – When you hover over a product image, a Quick View button appears. 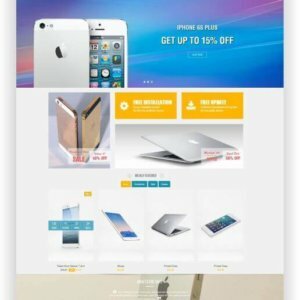 Clicking on it will bring up a pop-up window where the buyer can immediately get information about the product (description, photo, rating and other details shared by you). 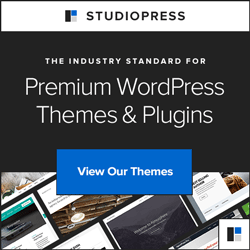 StyleShop is a sleek and powerful eCommerce WordPress theme that provides all the tools you need to launch a successful online store. 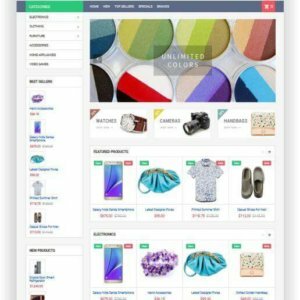 With over 50.000 sales, this WooCommerce Multitheme for Onlineshops is surely one of the most successful WordPress themes for online shopping. 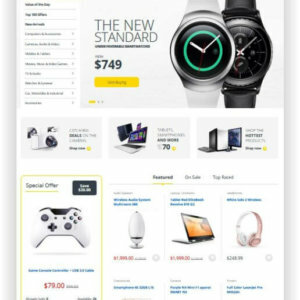 Electro is a robust and flexible WordPress Electronics Store WooCommerce theme, built by the same team that developed MediaCenter – Electronics Store WooCommerce Theme to help you make the most out of using WooCommerce to power your online store. And by the way – This site is buildet on this Theme! !